If the title of this article reminds you of a batch of mysterious magic potions, you’re not too far off. K-Beauty label Hera’s bestselling beauty formulas are made to add some shine to the beauty routine, and hopefully, your skin. There’s some sorcery to that fresh supple skin of the Korean celebrities, for sure. 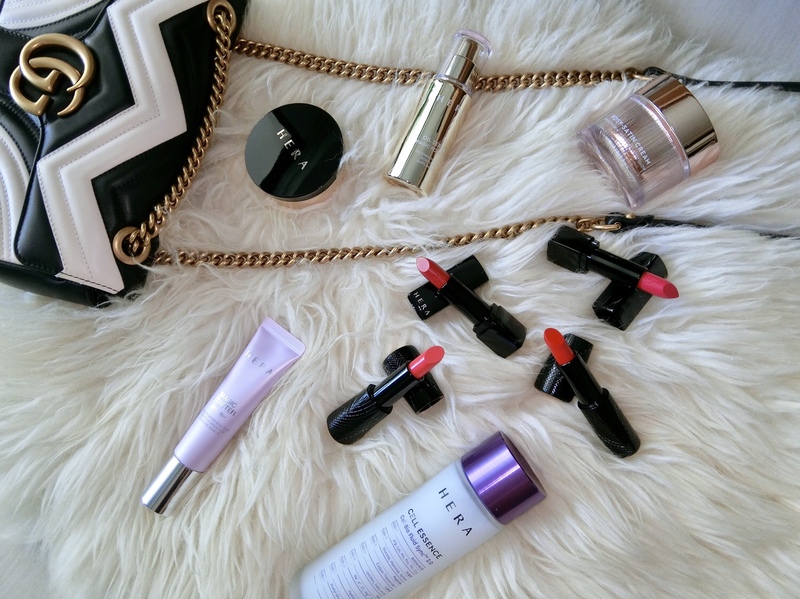 The Beauty Gazette roadtests Hera’s most popular items, and here are the first impressions. Cell Essence – The first step to hydrate and smoothen skin. The watery milky lotion is lightweight and best used with the Double Effect Facial Cotton with a wave-pattern on one side to hydrate skin, and a mesh cotton on the other to exfoliate. Rosy-Satin Cream – Scented with a hint of roses, this anti-ageing cream has a beautifully luxurious texture that melts easily into the skin without a sticky finish. It is relatively rich, and comforting on dry skin. But it also works just as well on combination skin, without clogging it up or leaving it feeling greasy. Oil Serum Magic Formula – A blend of oil and water, this gel-to-water serum is lightweight but feels nourishing on the skin to maintain its elasticity. Contains ylang ylang. Magic Starter – Cute name for a colour-correcting primer with SPF 25/ PA++. Easy to blend without a chalky finish. Black Cushion – A cushion foundation with medium to high coverage, satin-matte texture. Watch to see the items in action.